In 2016, we put everything in a bowl — salads, quinoa, farro, freekeh, smoothies — but this year, our bowls will focus on one delicious base ingredient: pitaya! Pitaya, also known as dragon fruit, is loaded with vitamin C, B1, B2, B3, iron, calcium and phosphorus — making them seriously super. We recommend topping your new favorite post-SOUL snack with chia seeds and antioxidant-rich blueberries. In a world of on-demand delivery and grab-and-go takeout, home cooking will emerge once again as a great way to control your portions and nutrition. Cooking is a perfect way to bond with friends, families and significant others, and there are more tools than ever to help ease your transition into home chef. Recipe delivery services such as Blue Apron, Plated, Hello Fresh and Sun Basket (plus the dozens of spawn that they have inspired) deliver cinch-y recipes with the ingredients you’ll need to create delicious meals. If you need a little motivation stat, check out the January #cook90 challenge from Epicurious and hold yourself accountable by sharing your progress on social media! There’s a new toast in town, and prepare to see your Instagram feed filled to the brim with it! “Sweet potato toast will definitely overthrow avocado toast this year,” says Bay Area instructor Sarah Healy. 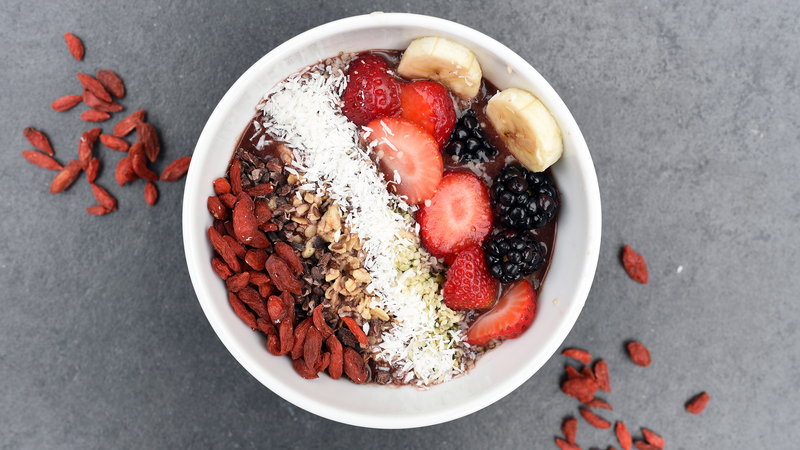 The superfood is loaded with beta-carotene, has less fat than avocados and pack in plenty of good carbs to power your push-ups and tap-backs. To make, just slice your yam long-ways and toast on high two to three times (that’s right — no need to pre-cook it!) then top with foods such as protein-rich eggs and ricotta cheese. Self-care is going to run the gamut in 2017, because our options for resetting our bodies, relieving muscle aches, and refocusing our minds are endless. From infrared saunas like Higher Dose to inflammation-reducing cryotherapy chambers, you’ll ease joint pain, kick chronic fatigue and score a solid Snapchat all at the same time! Remember when running on five hours of sleep was a badge of honor? That ship has sailed, and 2017 will be about self-care, self-care, self-care — starting with shuteye! Perhaps we can thank girl-boss extraordinaire Arianna Huffington for putting the need for zzz’s front and center, but she was certainly onto something — according to the National Sleep Foundation, adults need at least seven to nine hours of sleep every night. Any less, and you’re setting yourself at risk for sleep deprivation. “Sleep is one of the most underrated, yet increasingly popular forms of preventative medicine,” says NYC instructor Joey Coppedge. “As someone who is physically active for work, I do myself—and my riders—a great service by getting more of it!” Having trouble hitting the hay? Check out our top tips for falling asleep HERE. Meditation is proven to increase feelings of purpose, self-awareness and positivity, so it's no wonder over 18 million Americans participate in some form of regular mindfulness practice. And instructors Andrew Stinger, Sabine Gerdts, Maddy Ciccone and Aubrey Bailey all agree that 2017 will be the year of mindfulness. “Carving out an hour or so every time to take a step back and appreciate ourselves with ‘me time’ is so important for our overall wellbeing,” says Bailey. The increasing accessibility to many forms of guided meditation proves that finding some internal peace and quiet can (and will!) 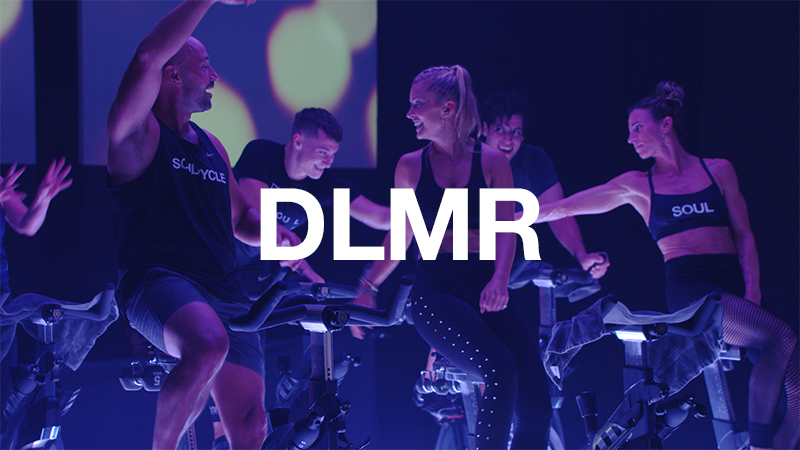 be part of the daily ritual for health-minded people, such as SOUL riders. Apps like Headspace, which has over 6 million downloads, offer shorter meditations designed to center you in the midst of a busy day, while studios such as MNDFL in New York City (it opens its second location this week, and is third will open in Brooklyn later this month) and events like The Big Quiet turn balance into a social scene with even better benefits. The power of crystals to heal, center and balance is not , shall we say, scientifically proven, but that hasn’t stopped thousands of believers from using them. (And we are fans of anything that makes people feel good.) Things are about to go up a notch: into your skincare regimen. From brands like Gemstone Organic and their rose quartz crèmes (for unconditional love) to Tracie Martyn’s malachite face masks (for deep healing) we’ll find flawless skin and — maybe even inner peace?! — through spiritual-mind beauty products this year. GET READY FOR CAULIFLOWER EVERYTHING. Did you know you can make pizza, hummus, popcorn, cheesecake, buffalo “wings” and even ice cream with cauliflower? Its nearly neutral flavor makes it the perfect low-carb secret ingredient to lighten up your favorite comfort foods. “It's everywhere,” says Bailey. “You can eat it raw or mash it up for ‘cauliflower mash,’ a pizza crust, soup or even cauliflower rice. I've also found a ton of recipes online.” What’s better? Put a healthy spin on your favorite dish with this versatile veggie, and then indulge in the lefties the next day too! It’s not just about Dry January anymore! 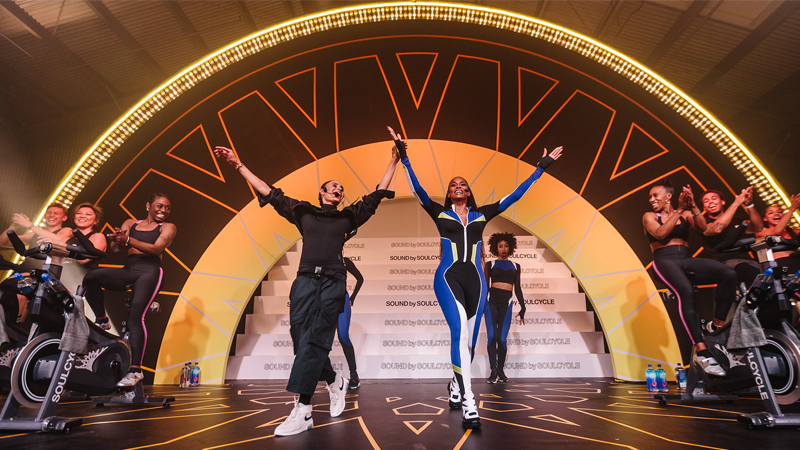 About 30 percent of Americans don’t consume alcohol, and we predict that trend will grow even more this year as we rock out at alcohol-free dance parties like Daybreaker, spend wellness weekends abroad with fitness pals and mocktails, and settle in for a cozy night with herbal teas and healthy eats. Since 80 percent of workers feel stress on the job and 25 percent of all workers cite their occupation as the number one stressor in their life, decompressing has never been more important. …OR HIT HAPPY HOUR AFTER CLIPPING IN! 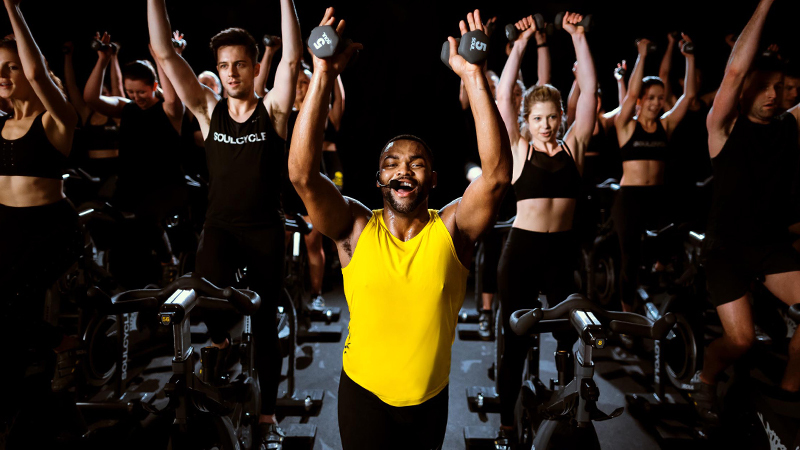 Studies show that exercising with friends results in less stressful, more enjoyable physical activity — and what better way to kick off your weekend than getting physical then celebrating by clinking drinks with the pack? “I think SoulCycle instructors Mantas Zvinas, Kingsley Delacato, Lauren McHale and the folks at Surf Yoga Beer have the head start on this one,” says Bay Area instructor Andrew Stinger. “More and more, we're realizing community and sharing our wellness commitments with others helps us stay accountable to our goals, and I think more folks will spend weekends working out with their friends, and then grabbing a beer or margarita afterwards."